The Diploma in Theology for Ministry (DTM) is a graduate-entry programme designed primarily for individuals preparing for or already involved in authorised Christian ministry or service. The DTM provides a stimulating academic environment and an unparalleled educational experience through which students can reach their intellectual potential in preparing for Christian ministry and service. Students examine the theologies, scriptures, histories, philosophies, doctrines and practices of Christianity, both within their own traditions and through comparative approaches. Current developments in scholarship and research and critical reflection on pastoral experience are central to the aims of the course. The DTM may be studied over one year on a full-time basis, or over two years on a part-time basis. Students are required to apply for admission to the DTM through, and become a member of, one of the Federation’s Houses; candidates for the DTM do not matriculate within the University. Students from a wide variety of backgrounds are admitted to the DTM. Applicants must hold a first degree at 2:1 level or above. Candidates must hold a first degree at 2.1 level or above. In addition, they are required to be accepted by a member institution of the Cambridge Theological Federation. Students for whom English is a second language need an IELTS score of 7.0. The award may be taken over one year full-time or two years part-time. Overview The Diploma in Theology for Ministry is a graduate-entry programme designed primarily for individuals preparing for or already involved in authorised Christian ministry or service. Drawing on the BTh programme, this award integrates the rigorous academic study of theology with a focus on pastoral ministry. Candidates do not matriculate within the University. Some graduates of the DTM decide to take higher degrees in Theology; others go into teaching or other careers. The majority, however, will have done the course with a specific view to working in authorised Christian ministries. In addition to examined subjects, candidates who are ordinands are also required by the House to attend Life and Service, Short Intensive Courses, a five-term Parish Attachment, and an eight week Parish Placement. Teaching Candidates for the DTM attend lectures, classes and supervisions alongside those studying for the BTh. They are required to take five papers (or their equivalent). They may choose from the full range of BTh programmes (including Biblical studies, Christian doctrine, liturgy, spirituality, inter-faith relations and pastoral theology). There are three compulsory elements: Paper BTh 51 (Pastoral Portfolio), a reflective report on a ministry context of 3,000 words, and a dissertation (8,000 – 10,000 words). 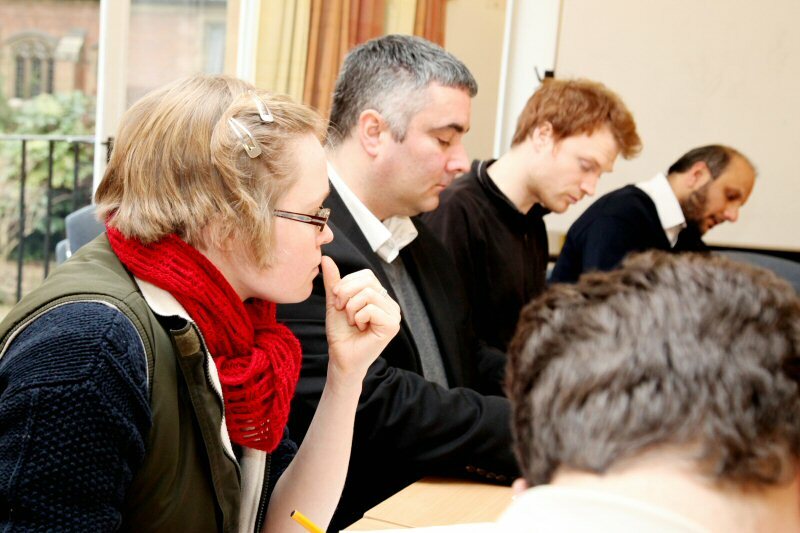 Teaching is delivered by lectures and classes in the Faculty of Divinity and the Cambridge Theological Federation. Supervisions provide individual or small group teaching through written work and feedback. Throughout the course, students are encouraged to undertake independent reading and study to consolidate what is being taught. Some lectures and classes are shared with those provided for the Theology and Religious Studies Tripos but the teaching through supervisions is exclusively for DTM and BTh students. Assessment Assessment, which takes place at the end of each year, is by a combination of two- or three-hour written examinations and 3,000-word essays. Students must also submit an 8-10,000-word dissertation. Formative assessment is provided through the supervision system. Suitable for Ordinands and independent students.